Africa acted as “net creditor to the rest of the world” a new report has found that was released jointly last week (29 May 2013) by the African Development Bank (AfDB) and Global Financial Integrity (GFI). Commenting on the report Illicit Financial Flows and the Problem of Net Resource Transfers from Africa: 1980-2009, Mthuli Ncube, Chief Economist and Vice-President of the AfDB, explained that “The resource drain from Africa over the last 30 years—almost equivalent to Africa’s current GDP—is holding back Africa’s lift-off”. cumulative illicit financial outflows from the African continent over the 30-year time span ranged from between US$1.2 trillion to US$1.3 trillion in real terms. These unrecorded illicit outflows considerably swamped cumulative net recorded flows over the same period. 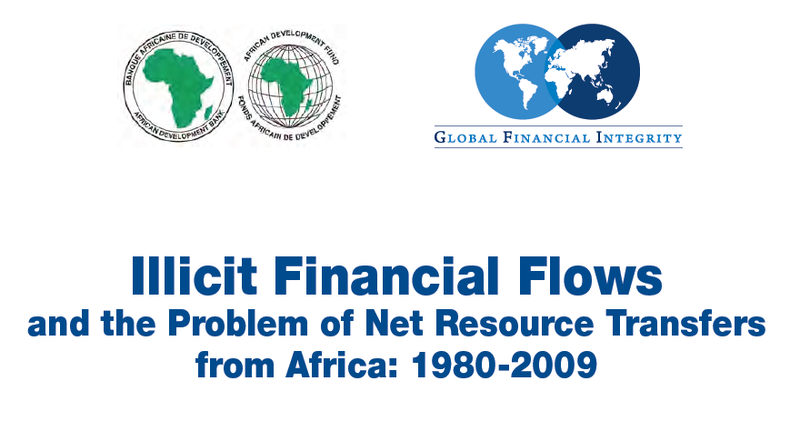 As such, cumulative net resource outflows from Africa ranged from US$597 billion to US$1.4 trillion between 1980 and 2009. For every country losing money illicitly, there is another country absorbing it. These outflows are facilitated by financial opacity in advanced Western economies and offshore tax havens. Implementing transparency measures to curtail tax haven secrecy and anonymous shell companies is crucial to curtailing illicit flows. Malawi has lost out due to illicit flows. According to this new report, the nation has lost over 10% of GDP to illicit outflows between 1980-2009. In February, we blogged that Malawi lost USD 4,691 million between 2001 and 2010 due to illicit financial flows. This is likely to increase if policymakers do not introduce reforms to curtail these flows in the face of growing foreign direct investment particularly in the extractive industry. A recent report produced by the African Forum and Network on Debt and Development (AFRODAD) on the revenue costs and benefits of the Australian company Paladin’s operations of Malawi’s largest mine, Kayelekera Uranium Mine, suggested that Malawi has lost MWK 6 billion (approx USD 18 million) due in part to transfer pricing. It is difficult to verify the conclusions of this report because sourcing reliable data is problematic in Malawi. In fact, next week, journalists, civic activists and technologists will attend Malawi’s first Open Data Bootcamp to enhance their skills in accessing, analysing and communicating data for informed reportage. Malawi and many other African countries have indicated their commitment to address net resource loss from the continent with the adoption of the Resolution 236 on Illicit Capital Flight from Africa at the African Commission on Human and Peoples’ Rights 53rd Ordinary Session in April this year. Countries would be well-advised to take on board the recommended measures in the report to boost net resource transfers into Africa and halt illicit outflows. Recommendations include enforcing and introducing anti-money laundering regulations, requiring country-by-country reporting, pursuing automatic cross-border exchange of tax information on personal and business accounts, establishing well-functioning sovereign wealth funds, joining transparency initiatives (including Open Budget Initiative, Collaborative Africa Budget Reform Initiative and the Extractive Industries Transparency Initiative), among others.